The conclusions made in the UK report on the death of former KGB agent Alexander Litvinenko are "unacceptable," Russian Ambassador to the United Kingdom Alexander Yakovenko said Thursday. 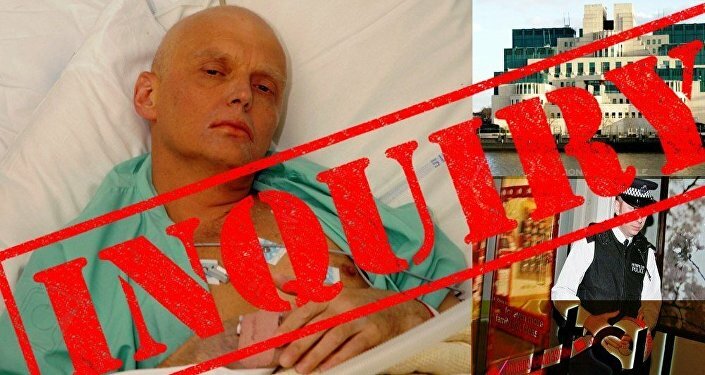 MOSCOW (Sputnik) — Earlier in the day, the British inquiry blamed Litvinenko’s death on Russian authorities but could not conclude that the polonium-210 used to poison the former agent had come from Russia. The Russian Foreign Ministry said that the UK inquiry was politicized. "For us it is absolutely unacceptable that the report concludes that the Russian state was in any way involved in the death of Mr Litvinenko on British soil," the ambassador said in the British Foreign Office after being summoned following the publication of the report. The report by the British inquiry into the death of Litvinenko is a blatant provocation against Moscow, Alexander Yakovenko said. "We consider the Litvinenko case, and the way it was disposed of, a blatant provocation by the British authorities." "We also noted that the British government suspended the coroner’s inquest which was open to the public and the press and in which the Investigative Committee of Russia took part as an interested party, in favor of a public inquiry, which in fact is secret, at the height of the political tension with Russia over Ukraine in July 2014," the Russian envoy stressed. Yakovenko pointed out that Moscow views the British accusations as an attempt to exert additional pressure on the Russian leadership in light of tensions over several international issues. Litvinenko fled from Russia to the United Kingdom in 2000. He died in 2006, three weeks after drinking tea with his former colleagues Dmitry Kovtun and Andrei Lugovoy in central London. Following his death, the UK authorities claimed that Litvinenko's former colleagues had poisoned him with the radioactive isotope polonium-210. A public inquiry into Litvinenko's death was formally established by the UK government in July 2014. Earlier, Lugovoy said that he had passed a polygraph test conducted by British experts, that proved he was not guilty of murdering Litvinenko.